Why did I receive a text-message subscription for "Comedy Calls" from "Learning Tree Media" or "J1 Media"? How can I stop receiving calls? I (or my recipient) never received a call, what happened? I paid for Call Credits but I don't see them! Where are they? Can I make calls outside of the USA and Canada? What is the difference between CallMyLostPhone.com and WheresMyCellphone.com? We apologize for any confusion caused by the existence of WheresMyCellphone.com given we actively promote CallMyLostPhone.com instead. WheresMyCellphone.com was originally a CallSpin-powered website - when we were known as Humor Hotlines. In 2011 we were approached by an Internet publishing company who made an offer to buy that specific website from us - and we accepted the offer. We transferred the domain-name WheresMyCellphone.com to them and also gave the buyer a copy of the website which they installed on their own servers. We expected the buyer to rebrand the website and remove the links to our website - however since the transfer the buyer still has not removed the references and links to our websites. 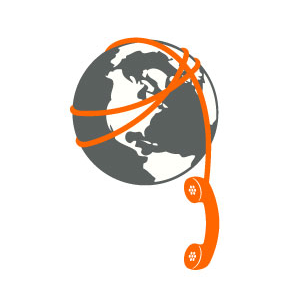 Because CallMyLostphone.com is fully separate and uses its own separate phone system it does not integrate with our shared Do Not Call list nor our Call Credit system and we cannot provide support for that website.